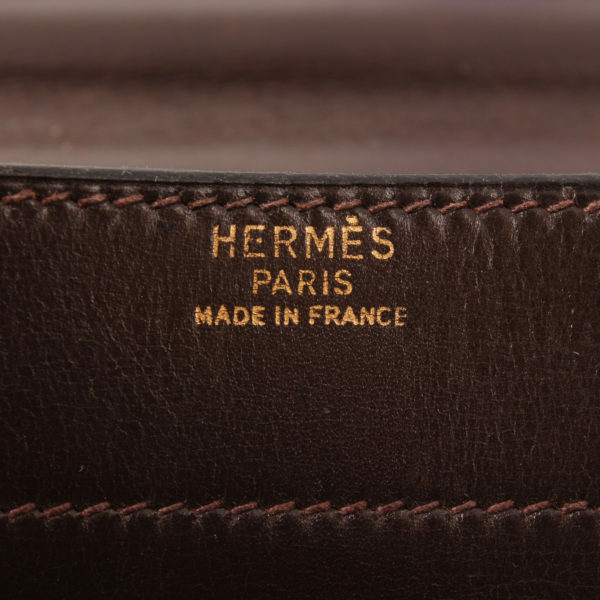 Hermes “Sac à Dépêche”. 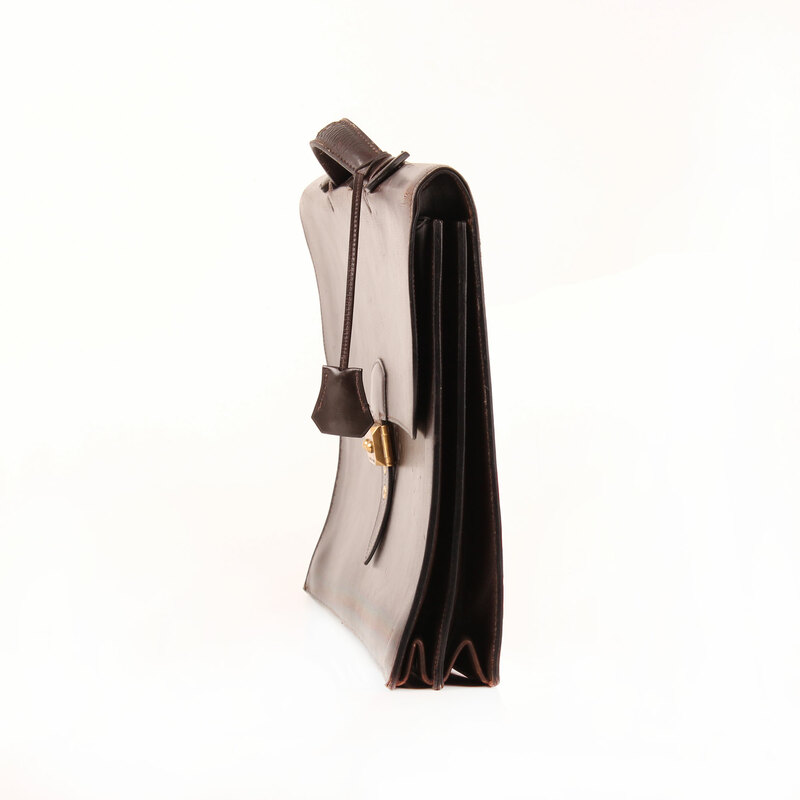 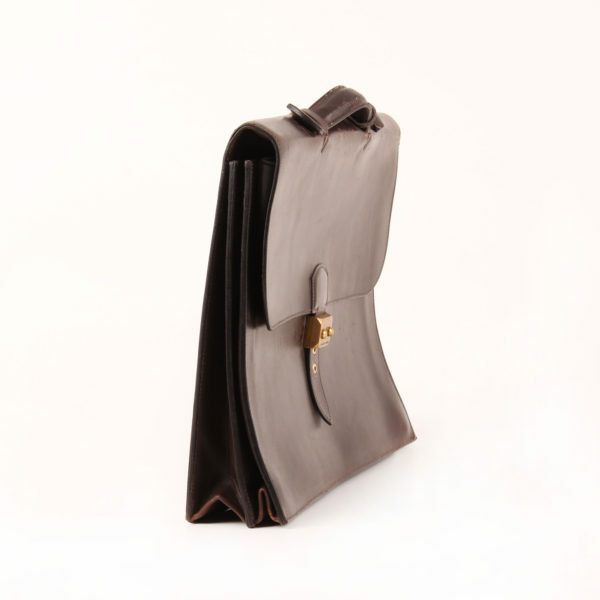 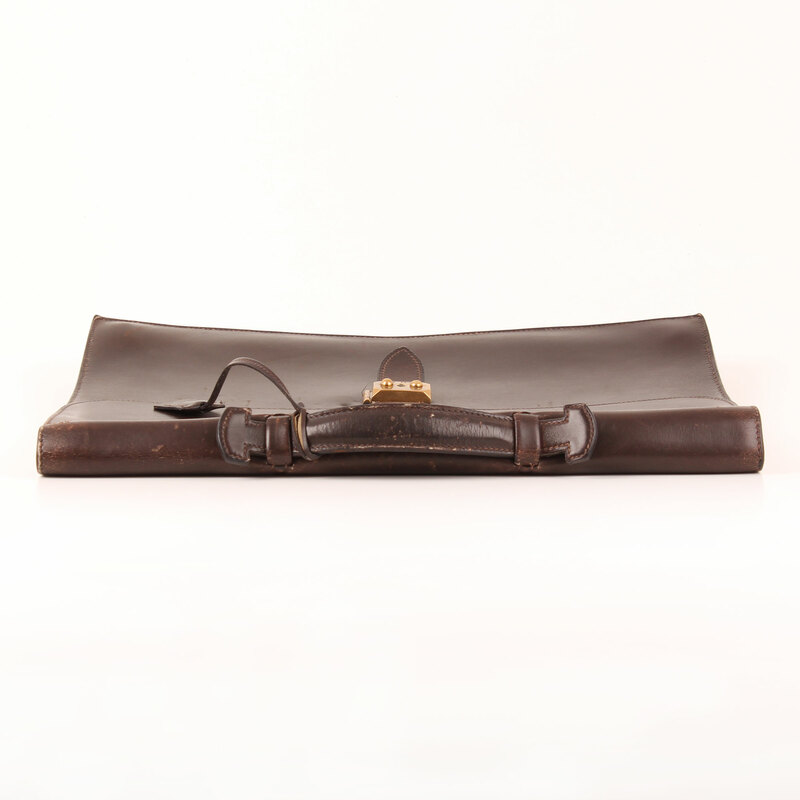 The seriousness of the straight line in this gorgeous satchel. 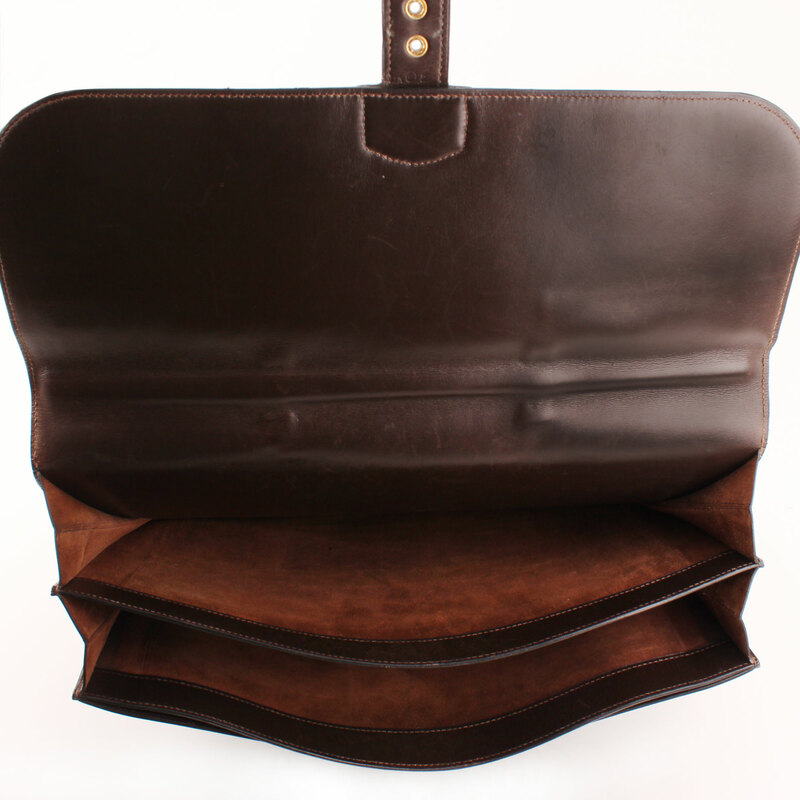 The highest luxury standard in bag menswear. 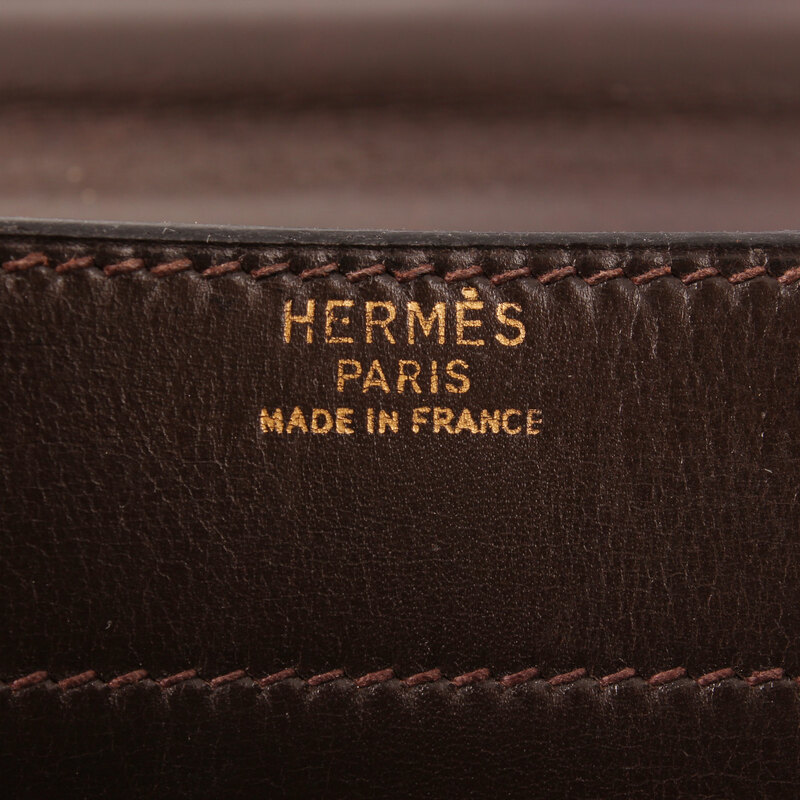 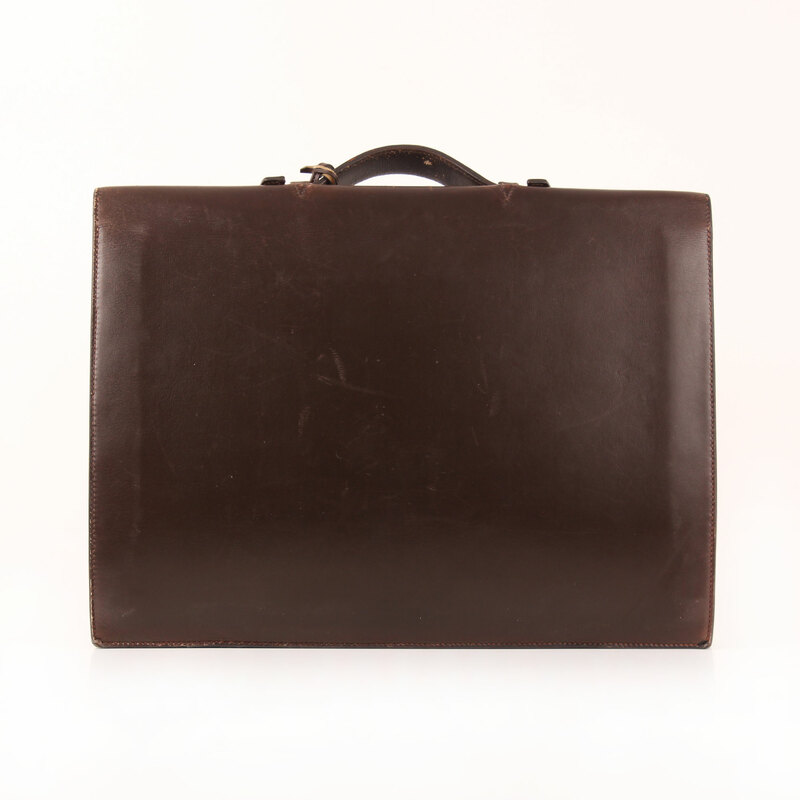 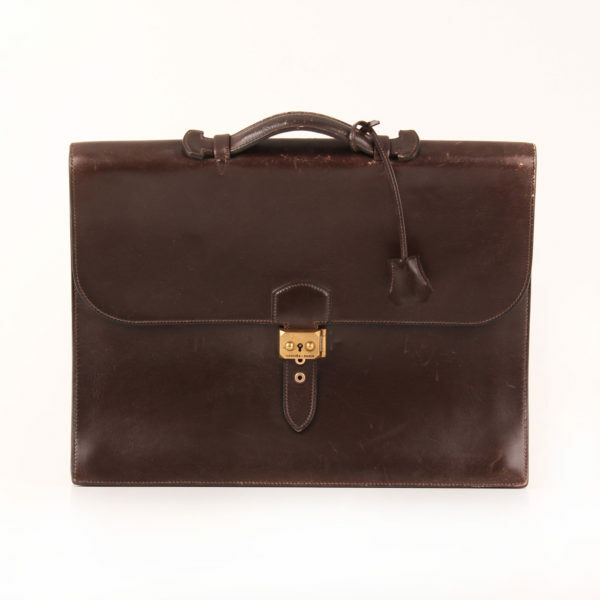 Hermès Briefcase Sac à Dépêche model in Box Calf leather brown. 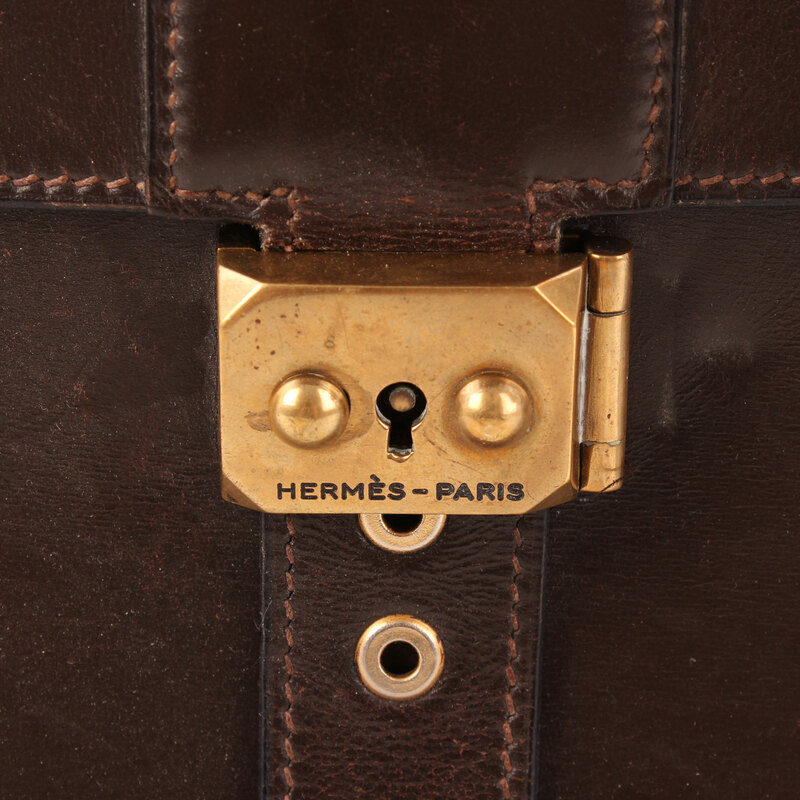 It features gold hardware, flap S-lock fastener and a short and flat handle. Includes tirette, clochette and keys; lock is missing. Key is palladium instead of gold. The briefcase opens up in accordion-like shape to three compartments: two large ones and a flatter third. 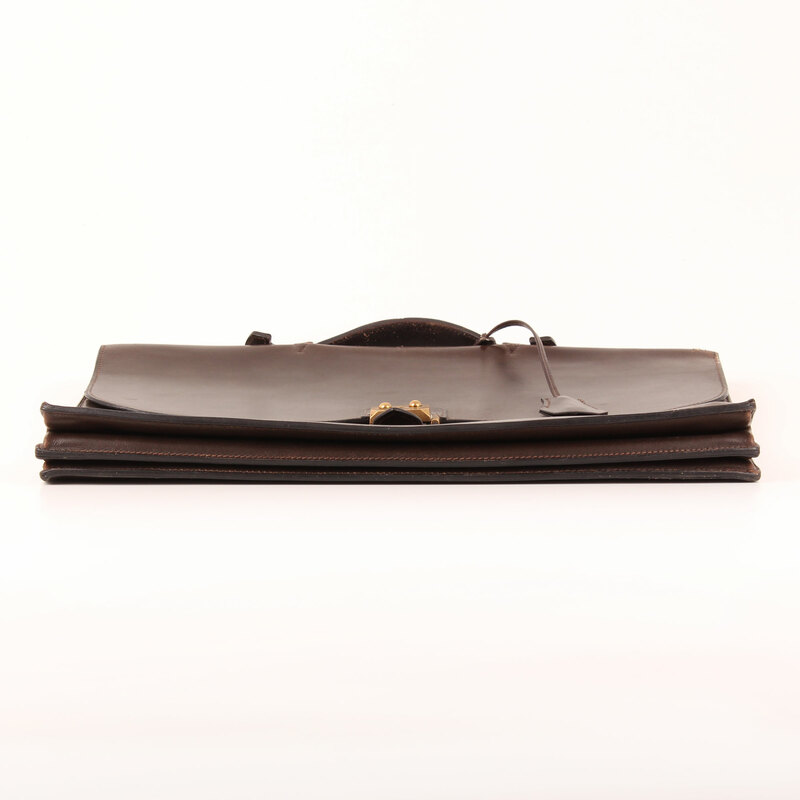 Includes: Tirette, clochette and key. 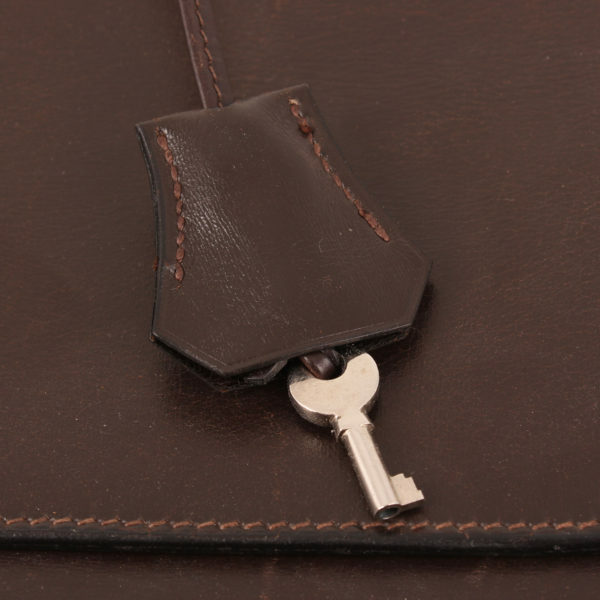 Details: Cracking in top part and handle. Loss of sheen in hardware. 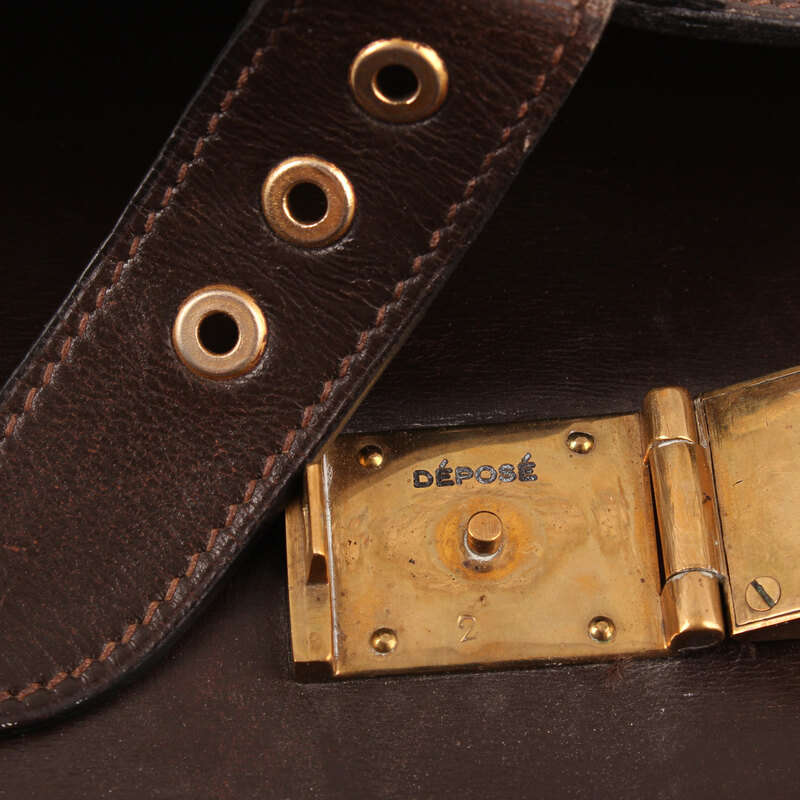 Leather shows patina and signs of wear, mainly overall scratches.